Saying "Goodbye for now" is bittersweet, but the time has come to put Maximize Your Strengths on a probably-permanent pause. 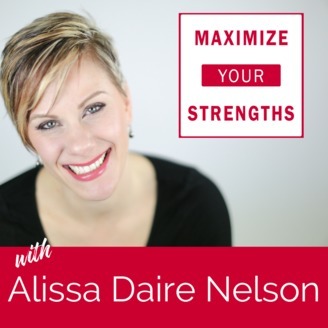 I want Maximize Your Strengths to be a permanent resource for you and the people you share StrengthsFinder with. My team and I are launching a brand new podcast, the Frickin' Awesome Entrepreneur in mid-January, 2018. 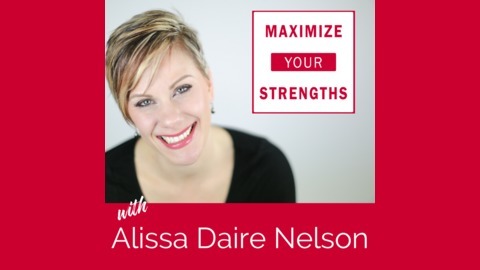 In this episode, I share all the reasons for the shift, what I've learned about myself, podcasting, and delegation in the last 18 months. And I share all about what's coming with the new podcast, the Frickin' Awesome Entrepreneur! FAE will be a one episode per week show, releasing each Monday. Live coaching- 3 episodes per month will be devoted to this format. A Frickin' Awesome Entrepreneur will come on, and we'll talk about all the reasons he or she is amazing, followed by sharing the biggest challenge he/she is having right now. We'll co-create a solution to that challenge right there on air. Success Stories- 1 episode per month. This format will highlight a Frickin' Awesome Entrepreneur who has achieved success most only dream of. We'll talk about the ups and the downs, what makes him/her so amazing, and who fills in the gaps of what they aren't. Real Life- once every 3 months, there is a fifth Monday. On that fifth Monday, I'll share a challenge I'm having right now and what I'm doing to get through it. I may invite someone on who is going through the challenge with me (one of my team members, my daughters, my husband) or talk it out all on my own. This is my chance to lead by example. I truly believe vulnerability is the key to true authentic connections. We need more of this. Remember, you are uniquely poised and wired for success. As Donald Clifton said, Your weaknesses will never develop, while your strengths will develop infinitely.